Mouse one night and the Hamburglar the other. Check out some pictures here! Love those rings <3 and your shoes. So Cher! haha I love the skirt and rings so much! Love the bag and rings! You were quite an adorable Minnie and Hamburglar! I LOVE Clueless (at least I didn't skin a collie to make my bag!) and know that you were a child of the 90's since you used the term "all that." LOL. This skirt and sweater are great and I love the wedges. Totally Cher circa 2011. You look gorgeous as always. Love the skirt a d boots. Goodness! That skirt! I must have that in my autumn closet. Looking like a cutie, Bonnie! 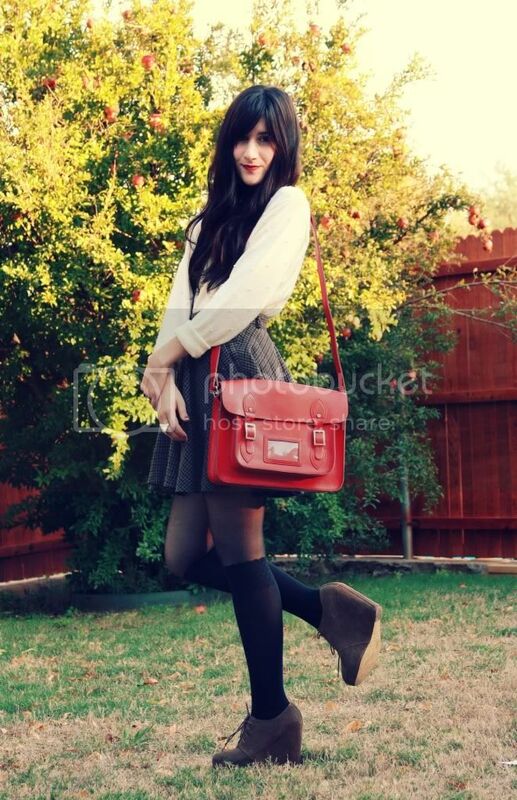 Your outfit is so beautiful :) Love your skirt and shoes! I love this outfit! It's perfect. 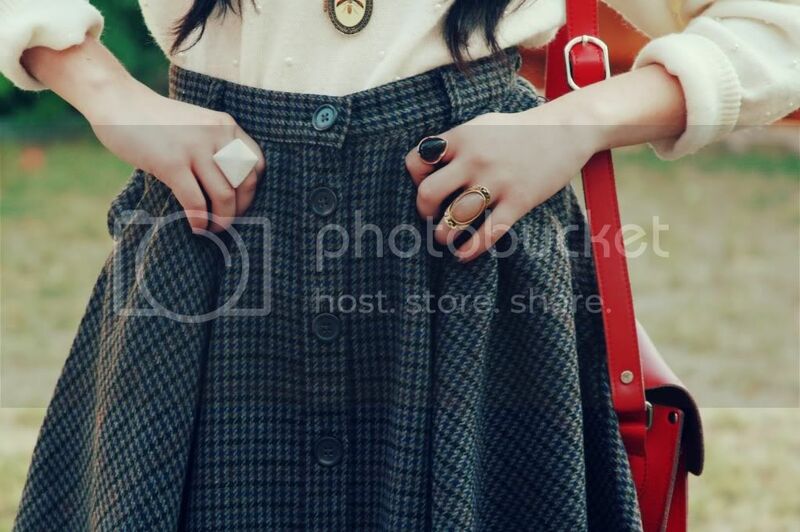 The thrifted sweater is so cute with your plaid circle skirt. You have stolen my heart with this outfit. Clueless was and will always be one of my most watched movies in the history of ever. I love your frame ring, and gorgeous red satchel! awe you must have looked so cute in your Minnie Mouse costume, so you! Happy Halloween! i LOVE the skirt! yay for the 90s! and yay for us being minnie mouse twins! Oh, this skirt is just fabulous! I love that you're still slightly dressing in costume, even after two other costumes for the weekend. Can't wait to check out your other pictures. Gorgeous outfit, I love the necklace, so beautiful and vintage. omg!! Clueless is one of my fav movies :))) love the outfit cute skirt!! amazing outfit!love your rings and shoes! Gorgeous! I love plaid, especially for winter since it's a heavier fabric. Beautiful as always! i relly love your look, your skirt so lovely *_*! Beautiful outfit!! So retro and looks so great on you! my generation's cool teen movie. Love Cher and her style including her headbands. Your skirt is so cute! I really like the shoes too! ^^ I love Clueless! And I love your outfit, especially your amazing skirt. You look beautiful, Bonnie! This whole look is amazing! The skirt looks so watm, and I love all the rings! Wonderful outfit, I especially like the sweater. Such a beautiful bag and outfit! Love your skirt, your bag and the whole look! I'm a purse girl - so the fabulous bag is what I noticed first! It sort of reminds me of a Cambridge satchel - I'd love to know where you got it! Such a cute outfit as usual, and I love your pictures. I love the wedges and the red purse. And I love Clueless and this is definitely a Cher outfit at best! You look fantastic. Everything is beautiful. I love your style. Cute skirt. seriously super cute outfit. I love that you paired tights with another pair of stockings. I'm obsessed with your skirt right now! Seriously. 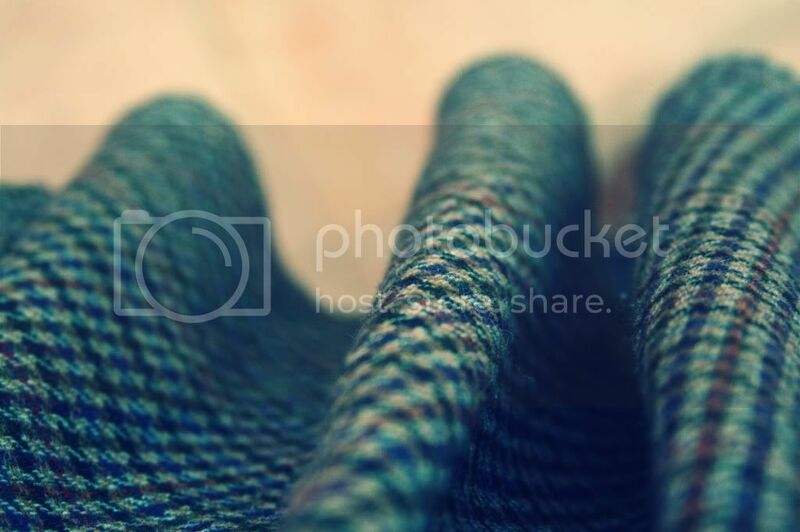 The colors, the shapes, and textures are amazingly classic. Beautiful (as always) but special mention to your rings and the georgeus jumper! AWESOME! I love how the clunky shoes anchor the floaty skirt. Very cute. Now I want to watch "Clueless"! You always look so so beautiful! LOVE this outfit!! Perfect! Cher was my IDOL when I was a young girl. Probably not the most ideal role model, but I always wanted to dress like her. Love the pop of colour your bag brings out. 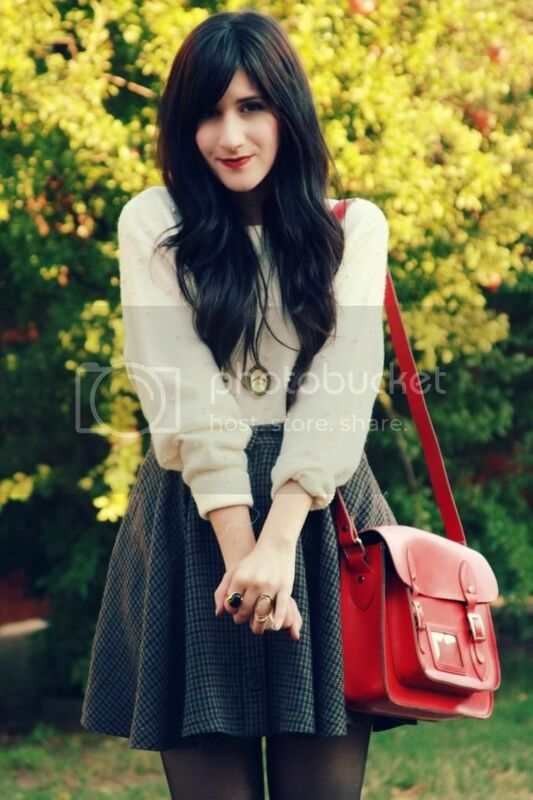 Love the skirt, it has a vintage feel to it, perfect for fall. very cher, indeed! such a pretty autumn look. your rings are beautiful. cher horowits was my fashion icon! and yes the skirt screams her nameee :) and somehow yours too! Loving the red satchel too. Thanks for dropping by on my blog. I just discoveres your blog..
You're so intelligent 'cause you've created such an awesome fashion blog..
you look amazing, beautiful outfit! love your style! I have a crush on this bag! Very elegant! I love the bag!!!! You have amazing looks here! thank you for passing by our blog. Yours is really nice...new follower;)! Amazing outfit! You look fabulous in these photos! Hey thanx for checking out our blog! Hope you drop by again! Perfect fall outfit. You look so cute & cozy! I love this outfit! Everything about it is so autumn-like. Clueless is definitely one of my favorite movies. 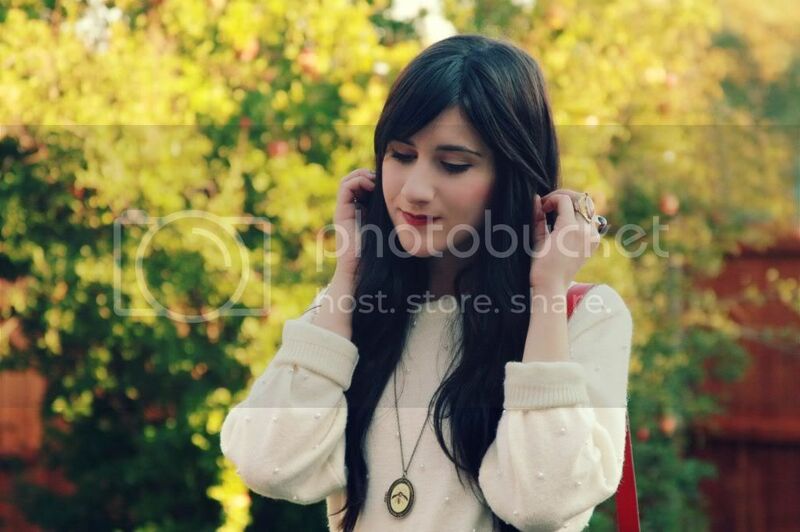 The sweater is so cute - love the little pearls <3 And the red bag is such a pretty detail! I have an almost identical pair of Michael Kors wedges! Very cute. Yes very Cher..i love Clueless! Anyway this outfit looks great on you! Love your bag! cute look! I love your bag and skirt! You're so cute! LOOOOve your pictures! !